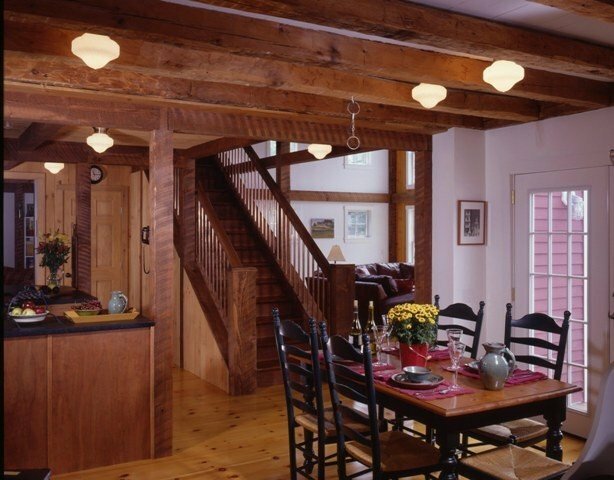 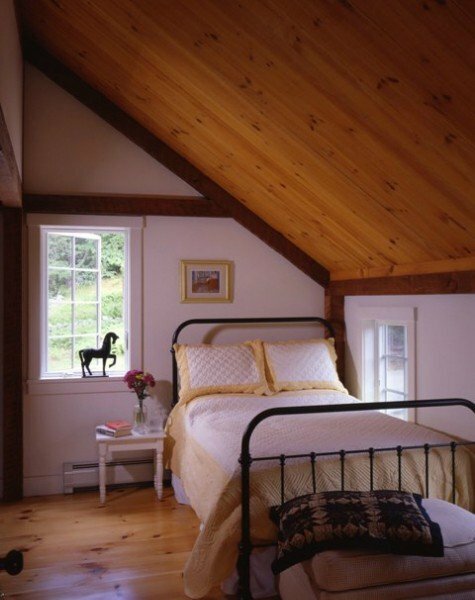 To accommodate their expanding family, a young couple in New Hampshire added a “Mont Vernon” barn style addition, onto their classic 1800′s cape. 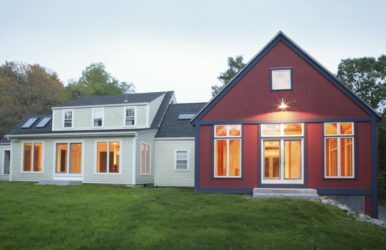 The new addition blends and meshes with the architecture of the existing classic New England farmhouse. 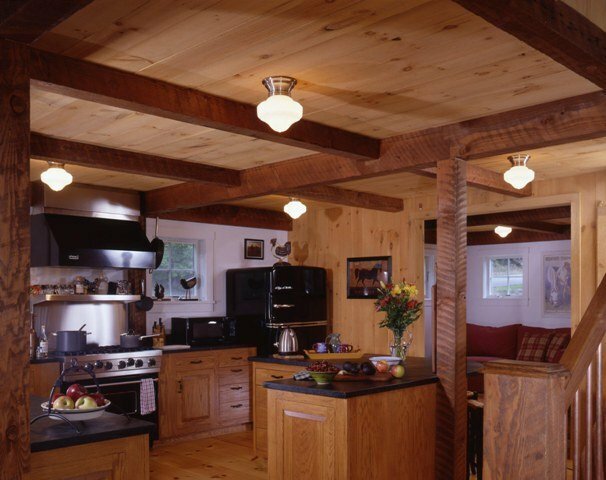 The new post and beam kitchen has purposely been made to look as thought it’s existed for generations. 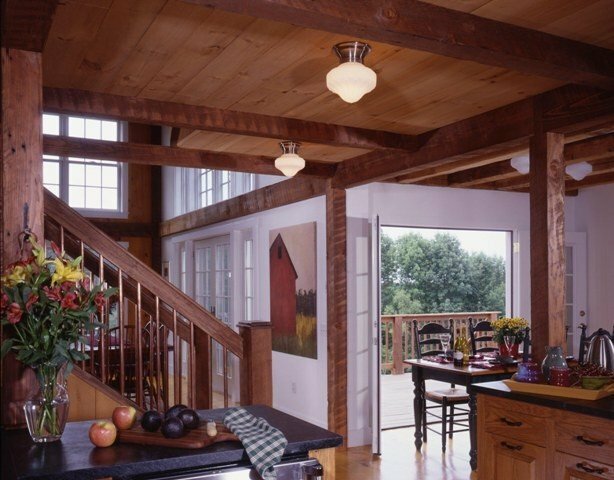 The rough hewn beams add to the effect. 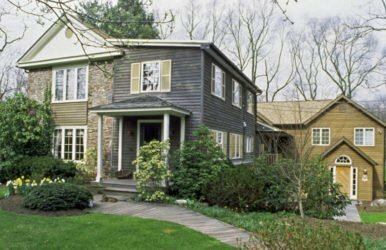 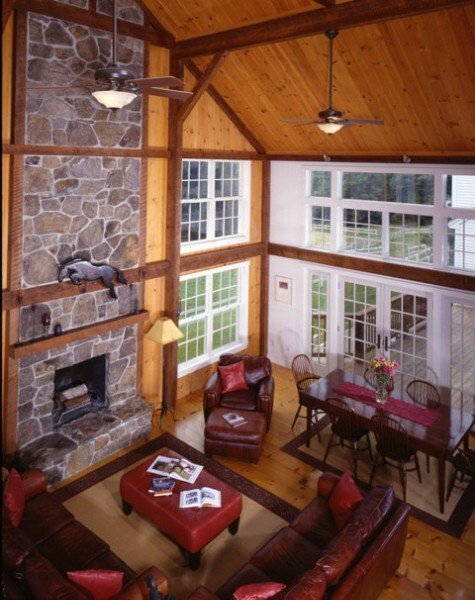 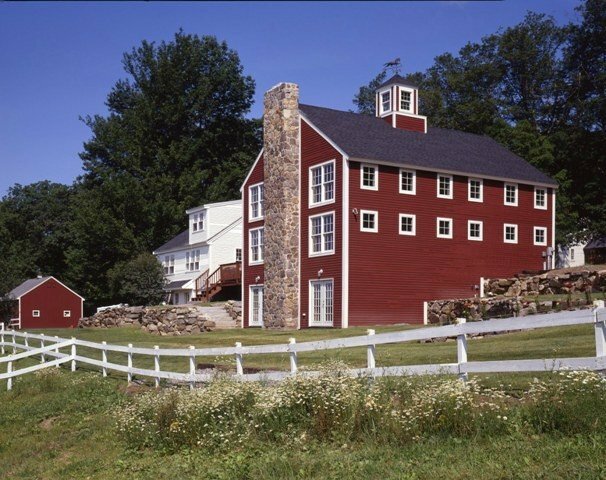 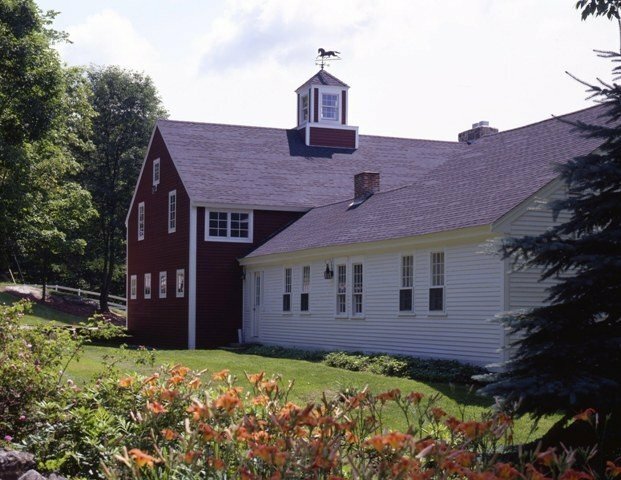 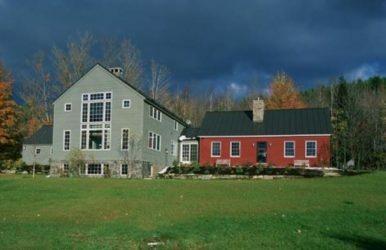 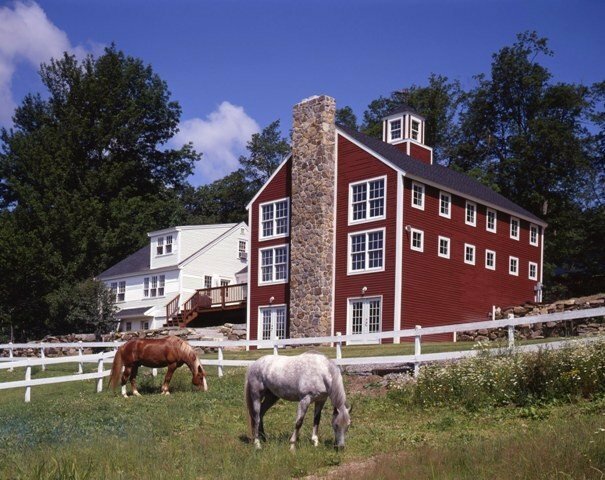 The flexibility and tradition of the Yankee Barn Homes post and beam frame and panelized wall and roof systems provide the ideal platform from which to design an addition to a classic building. 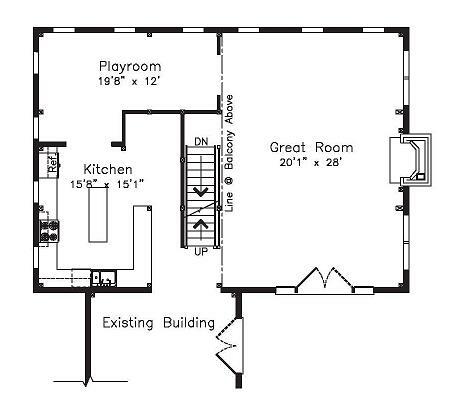 These house addition design plans feature 3,035 square foot of post and beamed living space, with playroom, a enormous great room, 2 bedrooms and 1 bath.